One man's hobby was fishing, he spent all his weekends near the river or lake, paying no attention to weather. One Sunday, early in the morning, he went to the river, as usual. It was cold and raining, and he decided to return back to his house. He came in, went to his bedroom, undressed and laid near his wife. "What a terrible weather today, honey." he said to her. 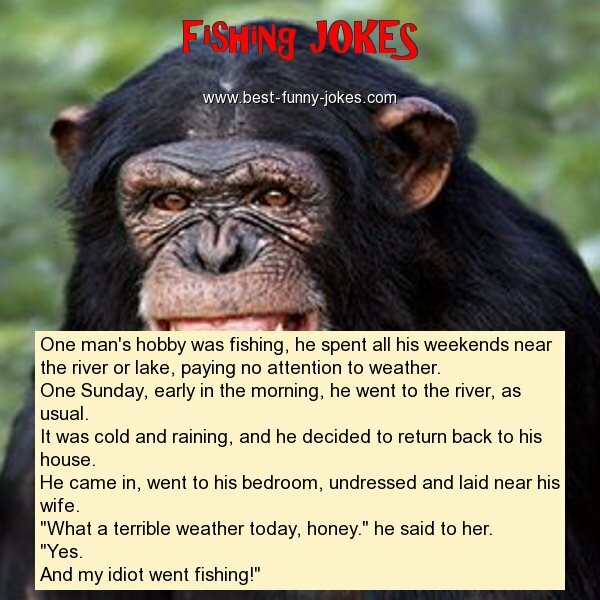 And my idiot went fishing!"